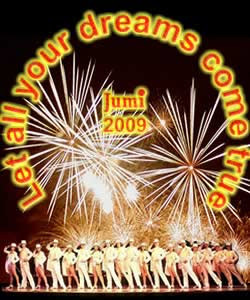 Jumi: We are working on your dreams! My own site is using Jumi (www.extellar.net) and thanks to all of your hard work, I am getting a lot of work done -- quite quickly for someone with very limited script skills. You are an inspiration and a light in my world. Thanks for develloping this module it helped me a lot when using data from aan external database!!!! !